Colorado is simply amazing. Here are three reasons why you should visit. Colorado is one of the most natural states in the country. It’s the perfect place if you’re a wildlife enthusiast or if you just love camping and playing outdoors. So if you happen to be a nature lover, here’s a look at our top three reasons to visit Colorado. Colorado is famous for its four major national parks. There’s plenty of opportunity for exploring, studying, and discovering nature. Rocky Mountain National Park is the most famous national park in the state. That puts it at the top of many people’s reasons to visit Colorado. When to Be Where explains that the best time of year to visit Rocky Mountain National Park is between late May to early June, or mid-September to mid-October. Going during these times will ensure you avoid the harshest weather and the worst summertime crowds of tourists. If you’re a fan of nature, Rocky Mountain has a broad range of ecosystems. It presents all kinds of opportunities for learning about climate change, invasive plants, stargazing, and more. If you’re a history buff, you’ll love Rocky Mountain National Park’s rich history. You can drive or hike through the park’s historical sites. You can also learn about about the park’s unique artifacts. If you have kids, Rocky Mountain is a great place to take them as well. It’s a natural playground. The Junior Ranger Headquarters provides all kinds of free programs, offering little ones a really cool opportunity to earn their own junior ranger badges. Colorado.com discusses the other three parks: the Great Sand Dunes, Black Canyon of Gunnison, and the Mesa Verde. The Mesa Verde is located near Cortez. It is most famous for being the ancestral home of the Puebloans. Their homes are tucked securely in the cliff walls, and park rangers give tours of what life is like for the Puebloans. The Black Canyon is named for its black walls, which are over 2,000 feet deep and stretch over 50 feet long. It was discovered in the 1700s, and used to have a railroad that traveled from its fissures to the Rockies. The Great Sand Dunes Park is located near a town called Almosa. It has some of earth’s tallest sand dunes, some of which reach over 700 feet. Their elevation is over 8,000 feet. Colorado is famous for their impressive environmental centers. This is a good option for wildlife enthusiasts, since the centers provide a lot of education about nature. The state’s most well-known environmental center is the University of Colorado Boulder (UCB). It is famous for catalyzing student leadership for ecological replenishment and social equity. They have programs for everything from Green Labs to Energy and Climate Justice. UCB also has their own rewards program called PIPS (Positive Impact Points). You earn PIPS by doing something environmentally friendly, like shopping for vintage clothing, carpooling with Lyft, or volunteering with local non-profits. Another great place to check out is the High Plains Environmental Center. Centerra talks about how the High Plains Environmental Center is great to study ospreys, lark bunting, and wood ducks, among other bird species. What makes this place so amazing is that the little amount of rain it receives is barely enough to support life, yet so many forms of life continue to thrive. The High Plains also holds several presentations and workshops about topics related to nature every year. The most famous thing in Colorado is the Rocky Mountains, lovingly known as the Rockies. It’s one of the world’s longest mountain ranges, stretching around 3,000 miles. The Rockies run from western Canada to New Mexico, and they draw millions of tourists to Colorado every year. 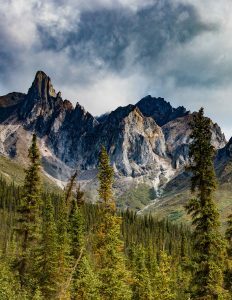 This mountain range is another perfect site for people looking to go on short or long hikes, camp out, or play mountain sports. 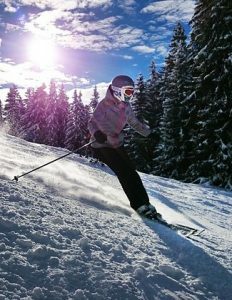 According to Snowpak, skiing is the most popular winter sport in this area. And there are plenty resort options if you’re traveling to Denver. You can choose from resorts several hours away to others that are only one or two hours away, which makes day trips easy and doable. Whether you’re a nature lover or an outdoor sports enthusiast, there’s something here for everyone. 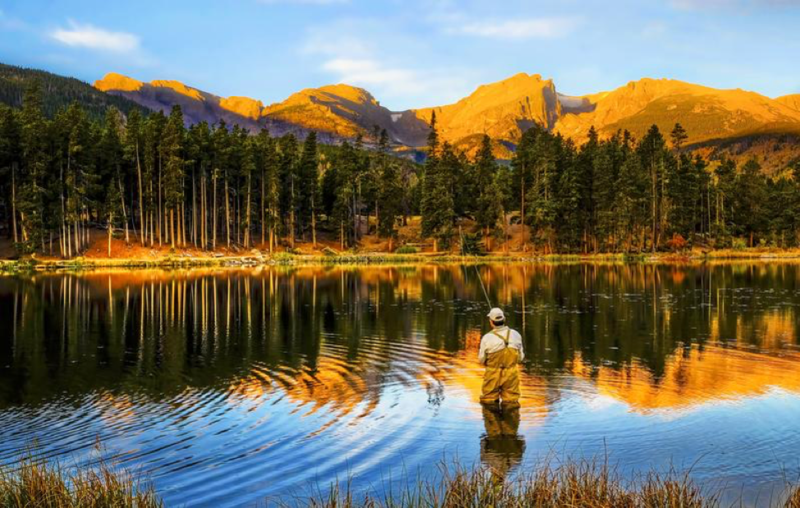 With picturesque mountain ranges, beautiful forests, and clear rivers and lakes, you’ve got plenty of reasons to visit Colorado. This article originally appeared on Triphop. And you’ll probably need a place to stay. How to stay in touch and use your smartphone anywhere in Europe. Need to rent a car? Need travel gadgets, clothes, sightseeing tickets, train tickets? Find it all and more right here. Zoonie Travel will put together a customized itinerary for you. Click here to get started. Book tours, attractions, and activities online. Get The Zoonie Travel Newsletter Each Week! Don’t miss travel news, deals, and money saving fares. If you enjoyed this post and want more, please follow us on Instagram, Twitter or become a fan on Facebook. This post may contain affiliate links and Zoonie Travel will be compensated if you make a purchase after clicking on these links. Information is valid at time of publication. So, sometimes you may not find the price mentioned in the post. It means that the deal was sold out or the supplier has changed the conditions or removed the offer. Want To Know What Airplane You’re Flying In? Do I Need A Visa To Go To?